Keeping the all the children in a large family organized can be a challenge. Whether it's keeping track of research materials or remembering to bring home a lunch box, children need to be organized to succeed in school. For many students, academic challenges are related more to a lack of organization than to a lack of intellectual ability. Creating a strategic place to keep everything — where it is always ready to go and where you always know where to find it can truly help. 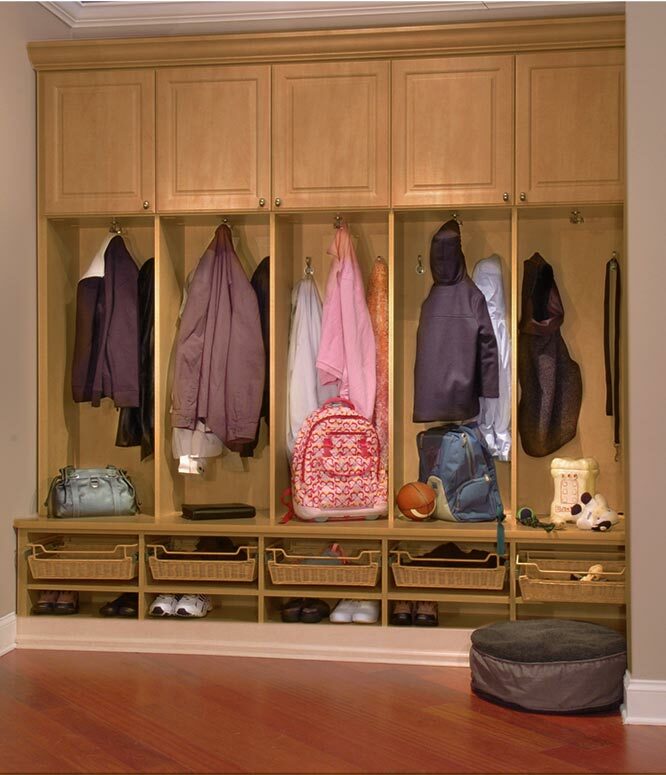 This mud room closet system features separate cubbies for five children, with hooks baskets and cabinets to keep everyone on top of all the projects, appointments and activities life brings to a modern family.